A Sri Lankan refugee accused of murder allegedly stabbed another refugee through the stomach with such force the blade damaged the victim’s spine, an Adelaide court has heard. A Supreme Court jury heard Ketheshwaran Sivaperuman, 35, bled to death at his Elizabeth South home in January last year. The man accused of his murder, 31-year-old Satheeswaran Suppiah, lived in a property on the other side of Griffiths Street and had been drinking vodka on the day of Sivaperuman’s death. Prosecutor Mark Norman said Suppiah hid a large kitchen knife in his shorts, got into an argument with the victim and stabbed him. “[He] deliberately stabbed the deceased, into and in fact through, the deceased’s stomach,” Mr Norman said. “The force used by the accused was such that the blade damaged the deceased’s spine. The prosecutor said Suppiah then repeatedly tried to blame another man for the death. He told police he only had the knife to cut apples and another man grabbed his hand and forced the knife into the victim’s stomach. “He claimed that the deceased was in fact his friend,” Mr Norman said. 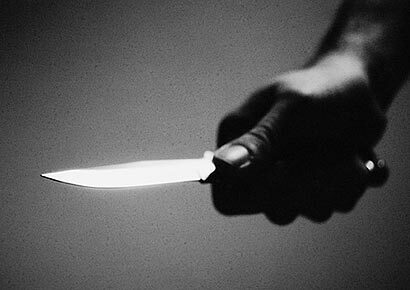 “He claimed [the other man] … deliberately used the accused’s hand to stab the deceased. The court heard both men had previously lived together, but the victim moved into a house across the road after the pair had a falling out. Both men came to Australia as refugees from Sri Lanka. Suppiah has pleaded not guilty to the charge of murder.